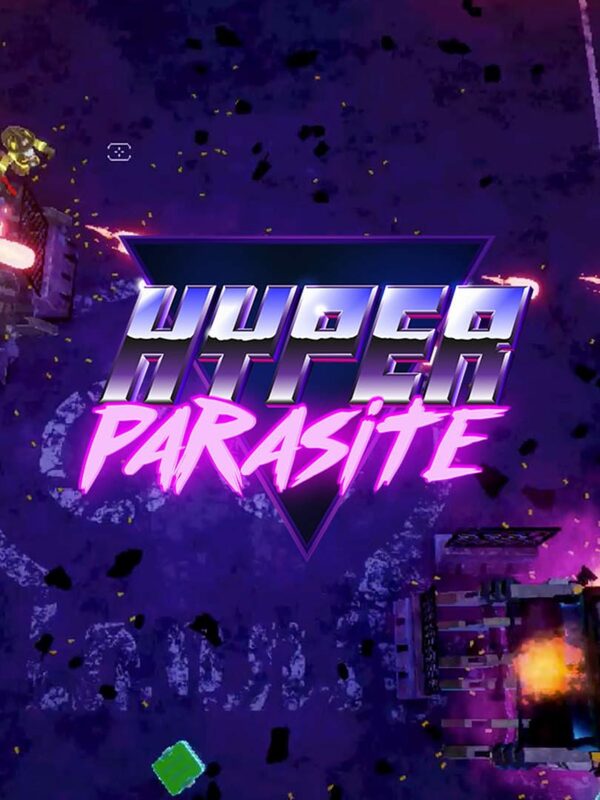 HyperParasite is a relentless rogue-lite SHMUP adventure. It's the 80's all over again. Only this time, the human race has more than an obnoxious pop culture to contend with. With World War III nearing its demise, Earth only just begins to catch its breath when it is threatened by yet another menace. Unlike the preposterous mullets of its inhabitants however, this one's invisible – a parasitic organism capable of making hosts of unsuspecting human beings, consuming what's left of their souls and wreaking unfathomable havoc. And it's spreading. With a vengeance. Martial laws have been declared to make way for a global hunt, battle-hardened law enforcers have made allies of the most degenerate of criminals, while the rest of the world is paralysed with paranoia; yet who can be trusted? Who can see it, let alone destroy it? That's for them to worry about. For you are the enemy. You are the organism with a mission. You are... HyperParasite. > Extremely fun co-op mode: will the humans handle TWO HyperParasites?